Patna : After remarkable visit to UAE, Prime Minister Narendra Modi played a move to make sure his opposition parties are scratching their heads. PM Modi announced Rs 1.25 lakh crores central aid package to help one of the poorest states of the nation. 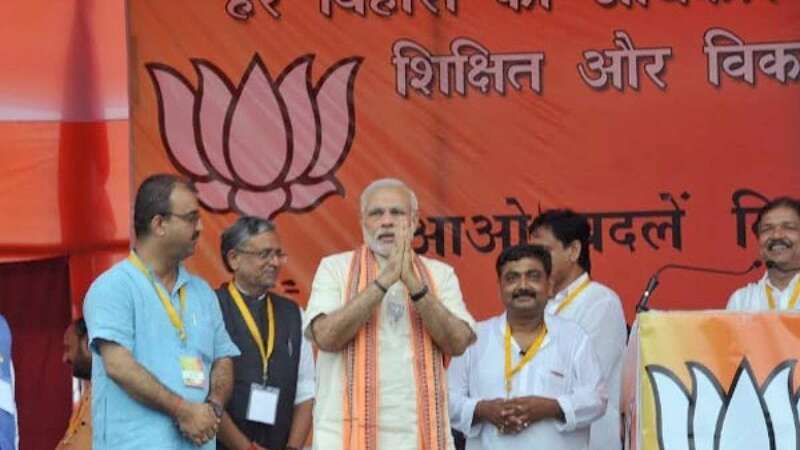 Applauding himself, Modi claimed he is the man of word as he is looking forward to create more employment opportunities in Bihar and put a full stop on migration. The total worth of investment adds up to Rs 1.65 lakh crores. He also recalled his statement from UAE – Start-up India, Stand up India. Taking Jibe at CM Nitish Kumar, Modi said if Bihar is not a Bimaru state then why CM wants money from Centre for development.